In-store only! 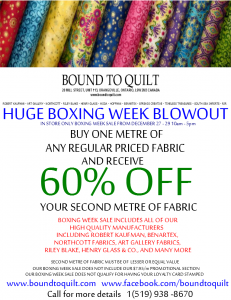 Bound to Quilt is having a huge boxing week blowout beginning December 27th to December 29th, 10am - 5pm. 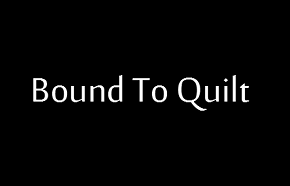 Buy one metre of any regular priced fabric and receive 60% off your second metre of fabric! • Henry Glass & Co.